Crime, even the darkest and must unsayable acts, can happen to any one of us. As Alexandria pours over the facts of the murder, she finds herself thrust into the complicated narrative of Ricky’s childhood. And by examining the details of Ricky’s case, she is forced to face her own story, to unearth long-buried family secrets, to reckon with how her own past colors her view of Ricky's crime. 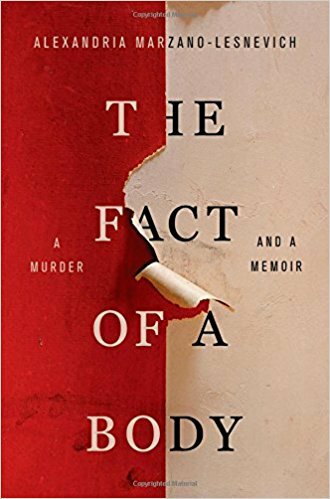 Review: This is a unique book in that it's part true-crime and part memoir. Alexandria is a staunch opponent to the death penalty which helps lead her to Harvard Law. Her first summer internship is working for a well known anti-death penalty attorney. Her first day, Alexandria is shown a video of confessed child killer Ricky Langley and she is surprised when she realizes she wants him to die. This book is almost two books in one, woven into each other. Both plotlines are haunting for different reasons. Alexandria was one of 4 children with an enigmatic attorney father and mother who would also later become an attorney. She was sexually assaulted by her maternal grandfather from age 3 through age 8 (along with her sisters). When her parents found out, they stopped having her grandfather stay overnight with the grandkids but there was not other action taken. They still saw him every weekend like nothing happened. As a parent, this thoroughly disgusts me on every level. Her book is not a condemnation of her parents but I can't believe they did nothing. Sickening on every level. Because of this abuse (or the abuse contributed to it) Alexandria later developed an eating disorder, had an unhealthy relationship with an older boy/young man. After learning about Ricky Langley, she decided to research his case. How does someone become a child killer? In the 2nd novel (alternating chapters so to speak) we learn about Rickey's family, how he came into this world, his pedophilia (he started abusing young children when he was NINE) and later, the murder. Like all true-crime, the author adds her own flare to many sections adding what people may have been thinking, feeling and even wearing to make it seem like you are really there. I thought this was more well -written than many other true-crime books I've read. There was a lot of repetitiveness in this but overall, I thought this was thought provoking, emotional and heartbreaking. I did find it odd that other than the one video she saw the summer internship, we never heard about what else she did there.